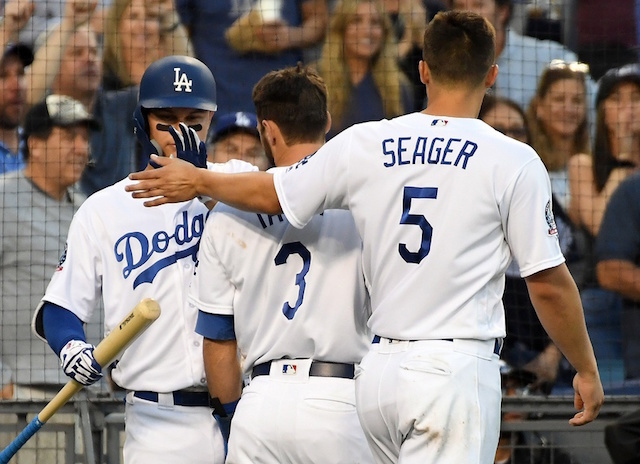 The Los Angeles Dodgers avoided arbitration with Pedro Baez, Josh Fields, Yimi Garcia, Kiké Hernandez, Joc Pederson, Corey Seager and Chris Taylor by agreeing to one-year contracts with each of the players ahead of Friday’s deadline to exchange salary figures. It ensured the club’s last arbitration hearing remained with Joe Beimel back in 2007, which went in favor of the Dodgers. Tony Cingrani was also eligible for arbitration this winter, but he agreed to a one-year contract in November. Yasiel Puig and Alex Wood were also tendered contracts by the Dodgers but were removed from the equation with last month’s trade with the Cincinnati Reds. Pat Venditte was non-tendered, making him a free agent and ultimately paving the way for the switch-pitcher to sign with the San Francisco Giants. After a rough 2017 campaign that included getting booed at Dodger Stadium, Baez struggled through much of last season. He pitched to a 4.14 ERA through his first 36 appearances before turning the corner. Across his final 19 games (19.1 innings), Baez limited opponents to seven hits and five walks, allowed one run, which amounted to a 0.47 ERA, and struck out 19. Overall in 55 games last season, Baez posted a career-best 2.88 ERA to go with a 3.16 FIP and 1.23 WHIP. He struck out 62 and walked 23 in 56.1 innings. Fields missed most of last season due to shoulder trouble that limited him to just 45 appearances. He nevertheless pitched to a career-best 2.20 ERA and 0.951 WHIP, while going 2-2 with two saves and a 3.62 FIP. Garcia was used sparingly as he worked to return from Tommy John surgery. He appeared in 25 games for the Dodgers, pitching to a 5.64 ERA, 6.34 FIP, 1.48 WHIP, 19 strikeouts and four walks over 22.1 innings. Garcia enjoyed better success with Triple-A Oklahoma City, yielding a 4.30 ERA and 1.09 WHIP in 14 games. He struck out 14 without issuing a walk in 14.2 innings. Hernandez again was a model of versatility for the Dodgers in 2018, playing every position except catcher. The bulk of his time came in center field, where Hernandez played 63 games. 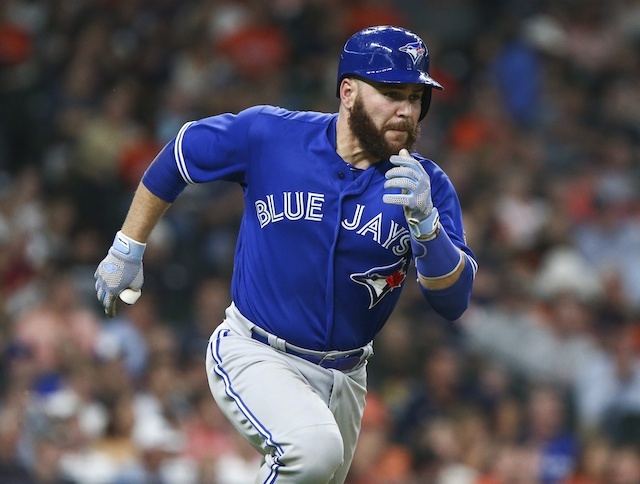 At the plate, he improved against right-handed pitchers and all together bounced back from a subpar 2017 campaign to bat .256/.336/.470 with 17 doubles, 21 home runs and 52 RBI. Hernandez set career highs in home runs and RBI. Pederson had another rollercoaster of a season that amounted to being part of a platoon in the outfield. He finished the year batting .248/.321/.522 with 27 doubles, three triples, 25 home runs and 56 RBI in 148 games (88 starts). Seager hit .267/.348/.396 with five doubles, one triple, two home runs and 13 RBI prior to undergoing season-ending Tommy John surgery last May. While recovering from that operation, Seager underwent hip surgery. It didn’t affect his timeline nor the expectation of Seager returning to play shortstop. This marked Seager’s first time going through the salary arbitration process. He was among the players who had his contract renewed by the Dodgers ahead of the 2018 season beginning. After a breakout 2017 season in which he became an everyday player while filling a need for the Dodgers in center field and at the top of the lineup, Taylor regressed last year. He finished the season batting .254/.331/.444 with 17 home runs, 63 RBI and 85 runs scored in 155 games. Taylor was susceptible to the strike out, leading the National League with 178. With the Dodgers unsettled at second base, it’s possible Taylor could be a solution.